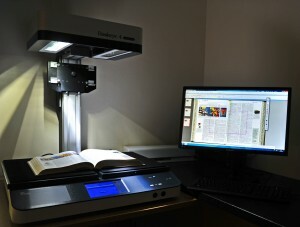 Book and magazine scanning: A fast, efficient and cost effective service! We scan books and magazines into digital format and will provide the complete service by arranging to collect all your required magazines or books and then prepare them for scanning and conversion to PDF, TIF or JPG file formats. As an option we can even scan your books and magazine using OCR technology (Optical Character Recognition) which allows searching by keyword or phrase across the whole document! This service is available to Businesses, Publishers, Museums, Societies and private individuals – please call 0800 008 7229 to discuss your needs. Give old or damaged originals a new lease of life! We can scan bound or stitched original books or magazines at up to a resolution of 600 dpi (dots per inch) in colour, greyscale or black and white. We use high-quality production scanners and can enhance and crop using a full range of skills and techniques. Check out our blog case study on how we helped Soccer Attic by scanning and digitising their vintage Football magazines – click here to read the post today. The quality depends on the condition of the original. It also depends on the resolution at which the book or magazine is scanned. The sophisticated scanning software we have invested in, combined with our highly trained operatives, means we can screen-out discoloured backgrounds to give crisp text on a white background and vibrant pictures. We can scan images at a resolution from 200- 600 dpi (dots per inch). How do you reproduce images, diagrams and other graphics accurately in digital format? Our experts check every image once it has been scanned. They adjust settings to achieve the best quality possible and to ensure we capture the whole image. Once converted to a .jpg, .tif or .pdf file format each image passes through our rigorous ISO 9001-accredited quality checks to identify and fix any sub-optimal quality scans. What file formats can I receive my books and magazines in? We can output scanned book or magazine images as .jpg, .tif or .pdf files: you choose. Can you scan the magazine covers as well? Yes – whatever you want. We can scan any and every part of each book or magazine, including inserts, to the required resolution. Not only can we show you examples, we will also be delighted to offer you some test scans of your own book or magazine, free of any charge or obligation. Simply call us on 0800 008 7229 to arrange it. Are there any types of printed magazine material you can’t scan? No. Well, we haven’t found one yet which is too large or too poor quality for our equipment. If the material requires optical character recognition (OCR), sometimes text in italics or angled boxes or with very confused backgrounds may not be picked up precisely. One example of a confused background is where text is overlaid over a photograph. We can show you what we can do before we start in earnest. If I want my documents indexed can you support languages other than English? At present we can scan and OCR in nearly all languages but we can only index in English. How much does magazine scanning cost? 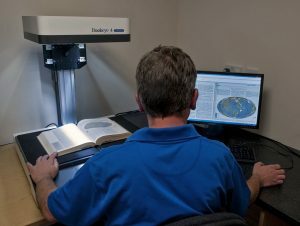 It can be as low as 33 pence per image scanned, although costs depend on the complexity of restoration or image enhancement required for your magazine or book. What happens to my magazines after scanning? Can you recycle them? Yes we can cross-shred and pulp them for you if you wish. If they are precious to you, however, we can re-bind them into albums and return them safely to you. Do you only scan magazines and books? No, we can scan all paper documents, from a till receipt to an A0-size plan, in colour, black & white or greyscale and either single or double sided. We also scan Xrays/radiographs, acetate photographs and glass photographic plates. What’s the average turnaround time for magazine scanning? This depends on the size and quantity of magazines and how much restoration/enhancement work is needed. As part of our free sample preparation we will cost the project and give you an estimate of how long the project will take us to complete. We work as quickly as possible for you but quality takes priority. Call Geoff or Mark on 0800 008 7229 for more details or to arrange your free sample. If you need to protect books for future generations or even have vintage magazines scanned for access by your subscribers on a pay-per-view basis (see our blog post) get in touch today! Read a case study about a magazine scanning project.